Congratulations to one and all in reaching our first target in just over 3 weeks. Every new member and every subscription from now onwards will be reducing the size of the projected commercial loan – can we reduce it to zero and raise all the £313,000? On Sunday 5th May 2.00 – 5.00 there will be a Harlaw Hydro Open Day at Pentland Rangers Centre. For those that couldn’t make the launch event here is a chance to ask questions and find out more about the this exciting new venture. Great news we continue to beat expectations. After less than 3 weeks we have raised over £100,000 towards the £313,000 target. Green energy, profits to the community and a good financial return all at the same time, win, win and win again!! For tax payers the SEIS (Seed Enterprise Investment Scheme) gives tax payers up to 50% of their investment back as a tax refund however this only applies to the first £150K invested. Above £150K we are registering for EIS (Enterprise Investment Scheme) which gives tax payers up to 30% of their investment back as a tax refund. Still very attractive, but don’t dilly dally. 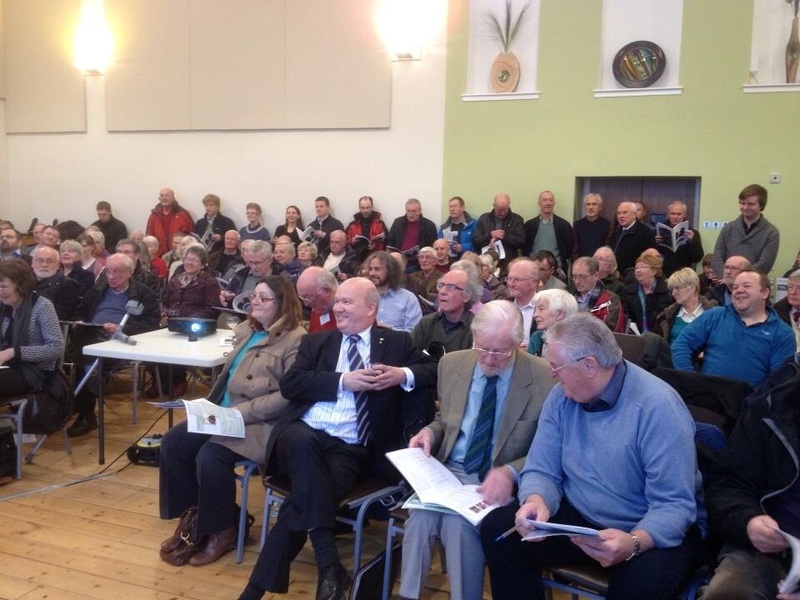 Around 250 local people packed St Joseph’s Hall for the share launch. We had a very lively Q&A session and raised £19,750 to give us a great start towards our £313,000 target. Dave Hollings from CMS Co-op Development commented “this is the best response I have ever seen to a community share offer“. ” I wondered what big event we had unwittingly managed to clash with and then I had to queue to get in to the hall, which was standing room only“. Our thanks to the St Joseph’s Hall committee, Lindsay Rutherford the All Round Star event manager, Gordon MacDonald MSP and everyone else who come along on a Tuesday night to support this launch. We are daring to dream the hitherto unimaginable; that we could raise the whole finance needed through community shares alone!! And if you couldn’t make it along last night – watch this video or download the powerpoint presentation to find out more about the project. The big day approaches Harlaw Hydro is nearly ready to launch its share offer. At 7.30pm on 9th April, in St Joseph’s Hall, Harlaw Hydro will present its plans for the hydro-electric scheme at Harlaw Reservoir and will launch the share offer. There will be opportunities for questions, comments and suggestions but most importantly there will be an opportunity to invest in this exciting community project. 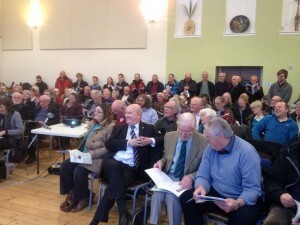 The prospectus and forms will be available on line here and on Harlaw Hydro’s new web site which will be HarlawHydro.org.uk where there will also be copies of relevant documents. A great deal of preparatory work has been completed and the project is now ready to move onto the next stage. 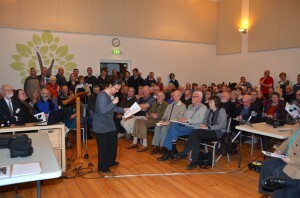 If you are interested in what other coops are raising money for look at community shares.